Hello!! This is my first post as part of the SinCity Stamps design team! I am so happy to be back!! 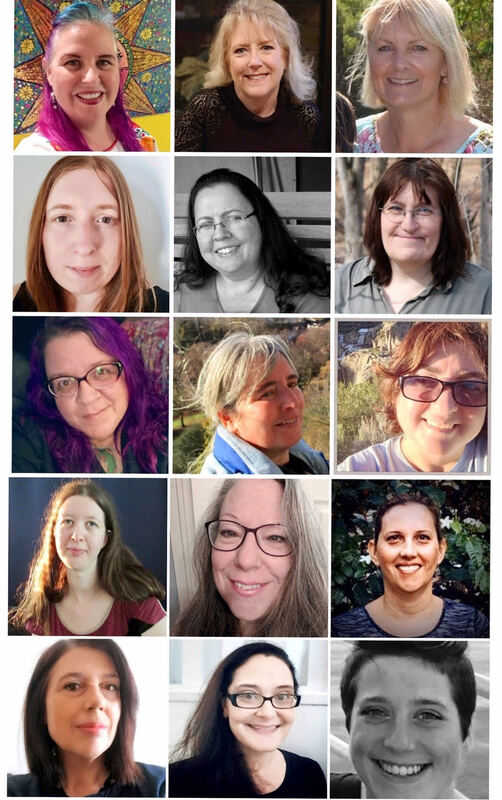 We are partnering up this month with the awesome Altered Pages! Super fun! 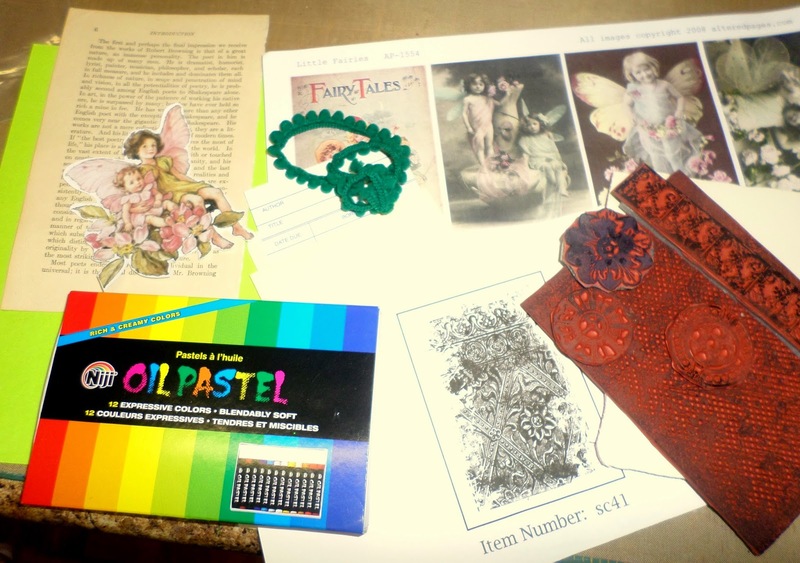 Altered Pages sent us some products to incorporate into our projects. Here is what I made. SinCity Stamps SC-41 "Vintage Background"
Altered Pages Collage Sheet AP-1554 "Little Fairies"
I am so in love with this stamp!! It is soooooo pretty! It is "Vintage Background" and it looks like an old beat up piece of metal or something like that. I inked it with green, and lightly added some brown over the top. I finished with some brown around the edges. 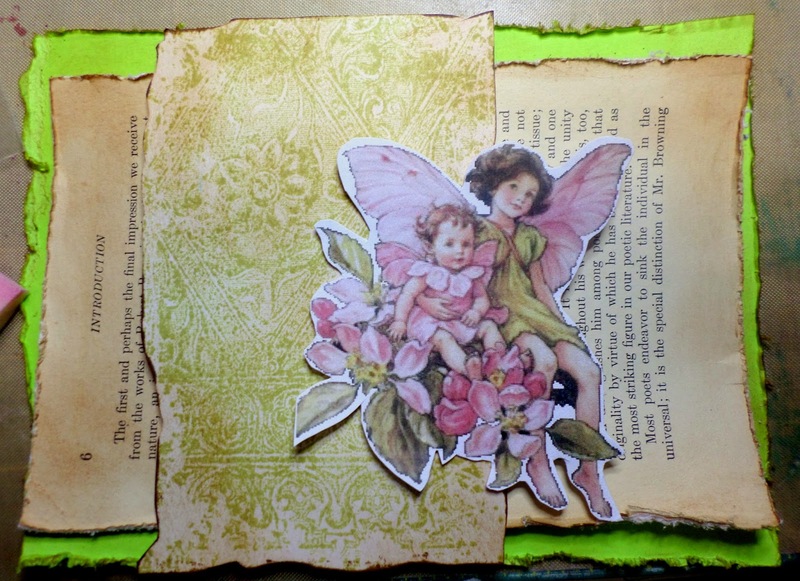 I tore the edges of all the papers I would use and cut these sweet fairies out of the collage sheet. I added brown ink to the edges and some of the paper. 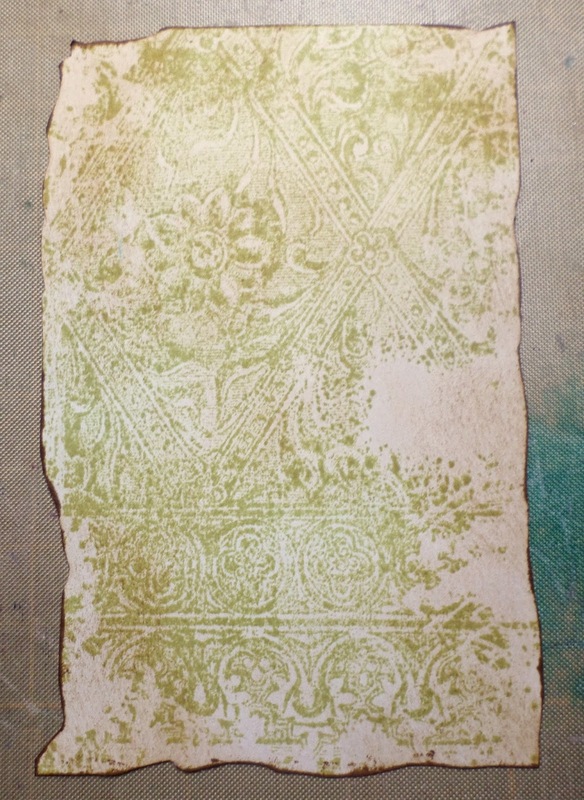 Then, I took a pink pastel and rubbed it on the edges of the green paper and the book paper. The next step was to add more inks. I opened the Dylusions inks and removed the sprayer. I tapped it with a pencil all around the background, to get little ink dots. 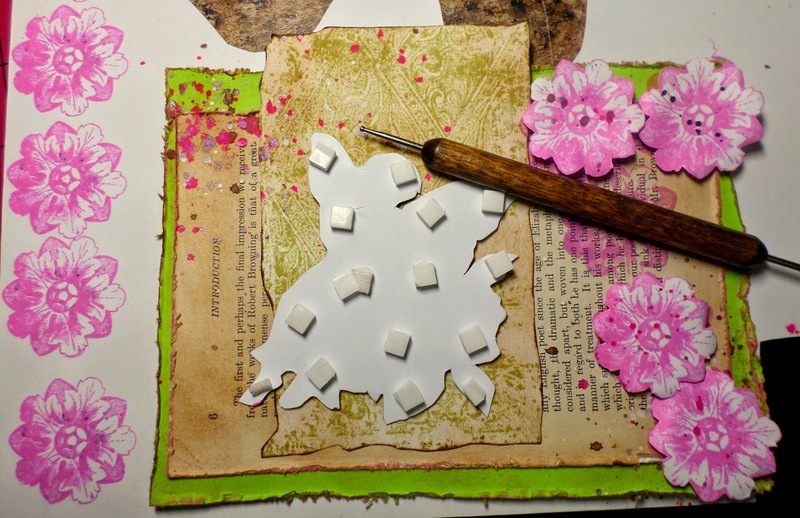 I stamped the flowers on the book paper and on plain white cardstock. I cut the flowers out of the cardstock and used a stylus to add some dimension to the flowers. I attached them, and the fairies with foam squares. I finished this piece off with a border from the Rosette set, attached with foam squares, and some pearls. Thanks for visiting!! 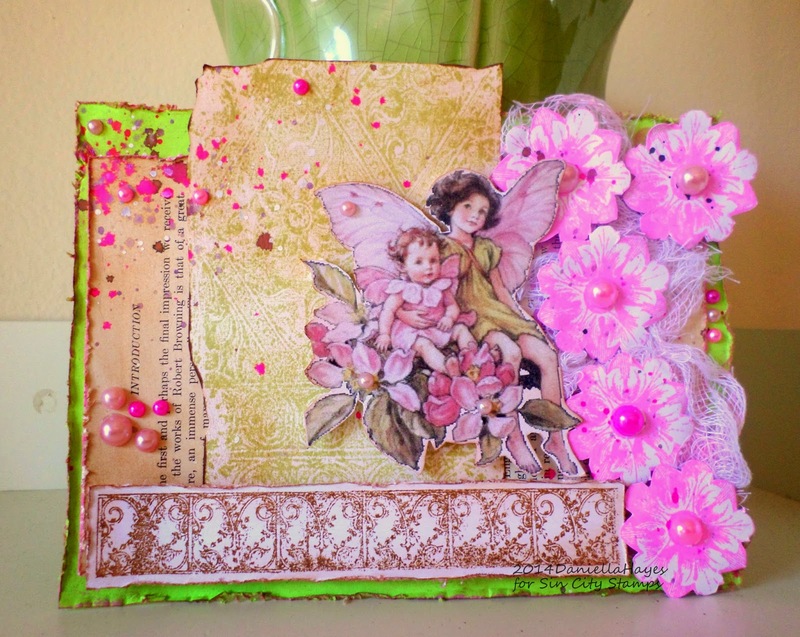 Be sure to click the links and check out what SinCity Stamps and Altered Pages have to offer! Beautiful project, Daniella. I love that stamp, too, It is all so vintage looking and lovely. Love it, great colors too. Oh this is so pretty Daniella! I love the splashes of pink! GORGEOUS colors and composititon! Truly beautiful! Beautiful, Daniella. I love the color combo...really love that hot pink.